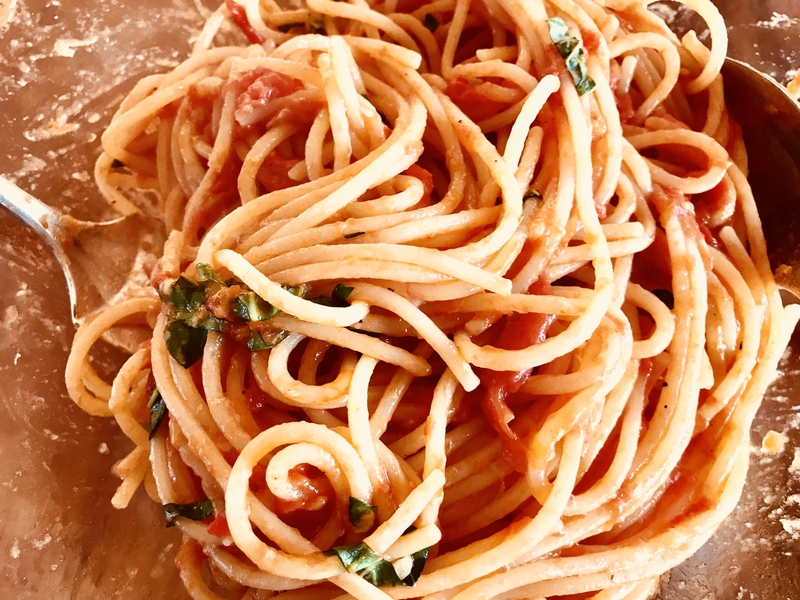 Can’t stop thinking about the spaghetti al pomodoro I made last night. It was, hands down, the best tomato sauce I’ve ever made. 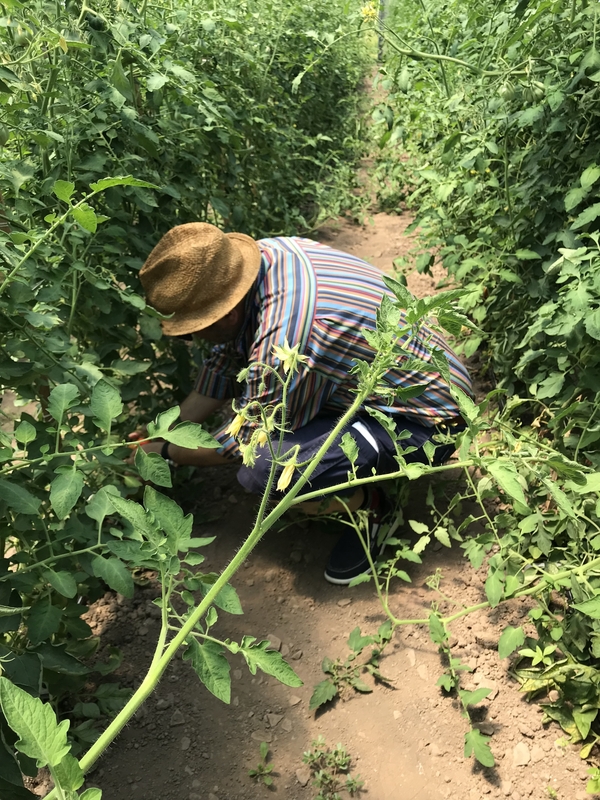 It began at The Center for Discovery in Hurleyville, New York, where Cesare Casella picked a few ripe tomatoes for me. These are the tomatoes. 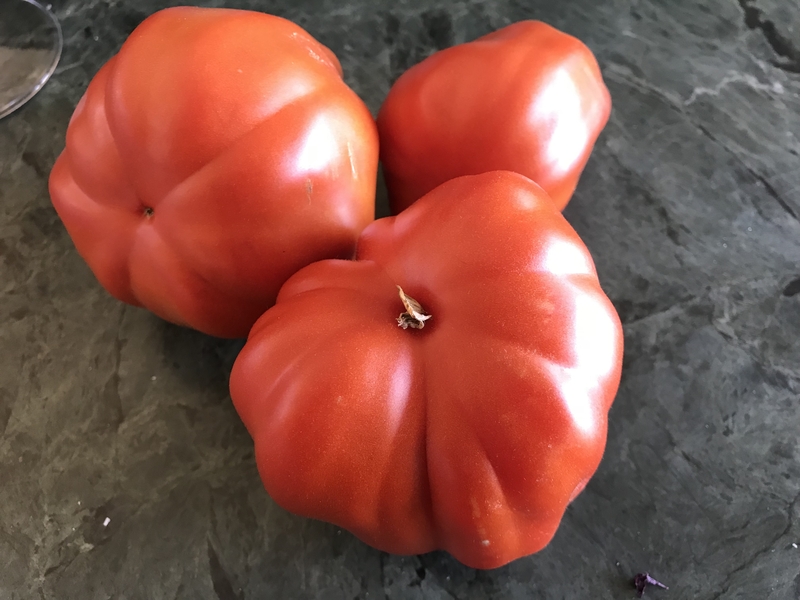 You can see that they have a distinctive shape; what you can’t see is that they’re not only extremely meaty, sweet and flavorful, but also that they don’t have very many seeds – a great boon when you’re making sauce. 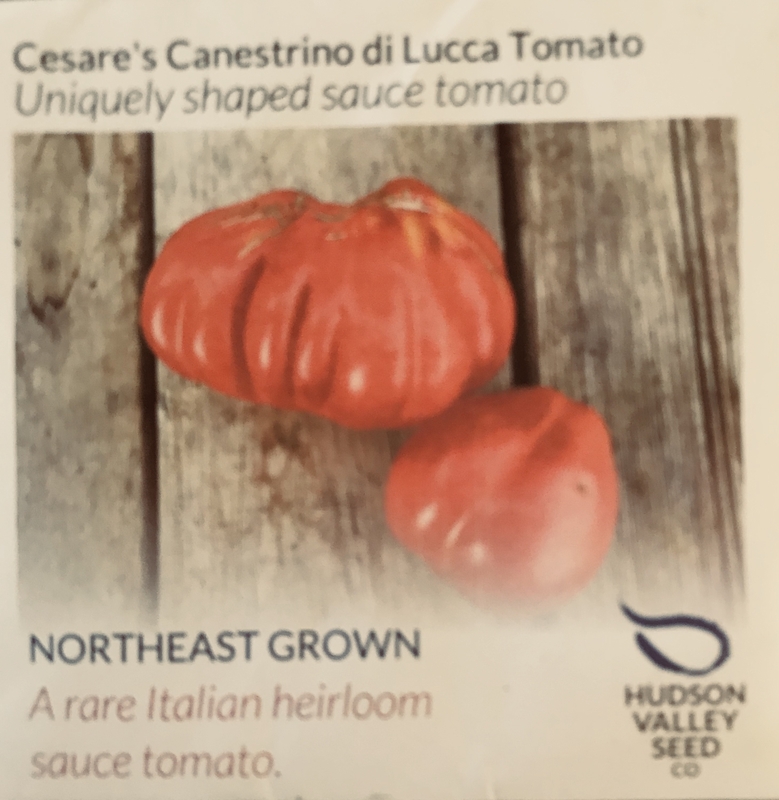 You can buy the seeds for these extraordinary tomatoes from Hudson Valley Seed Co.
As for the recipe? 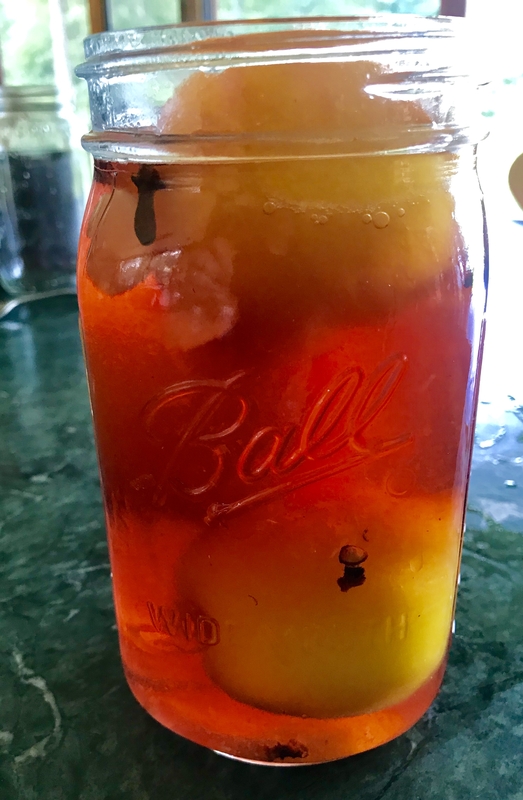 I used Scott Conant’s recipe, which was published in the New York Times a few years ago. You can find it here. And if that doesn’t work for you, here’s another place to access the recipe: Serious Eats. Almost spring, but you’d never know it looking out the window. Snow, snow, still snow. Bare black branches reaching for the sky. Icy cold. Except for the hawks, all the birds are hiding and there’s not a deer in sight. 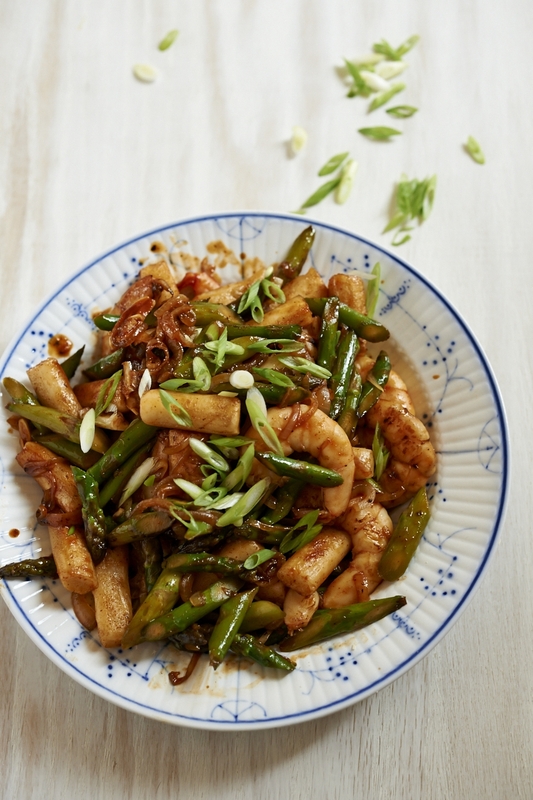 This cold weather makes me long for something spicy – and these rice sticks with shrimp are exactly what I feel like eating. Perhaps it’s because I first tasted them at Momofuku – and today I read that David Chang is closing Ma Peche. staples: brown sugar, cayenne pepper, 3 cloves garlic, vinegar, vegetable oil, 1 onion. Korean rice sticks (Ddeok) were a completely new ingredient to me, and I loved experimenting with them. Left to their own devices they are innocuous and rather bland. But they play very well with other ingredients. This recipe offers you the crunch of rice sticks, the joy of crisp vegetables, and the chile-garlic heat that characterizes Korean cooking. Rice sticks usually come in 300 gram packages, and I’ve found that they’re best fresh. If the ones you find are frozen, just let them sit on the counter to defrost. 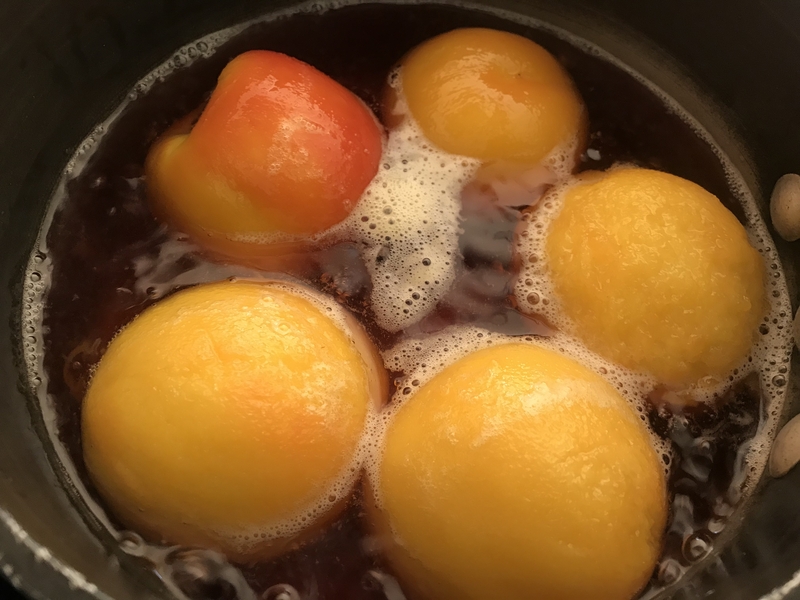 Do not buy the kind that are labeled “unfrozen”; they have an odd, almost dehydrated texture and won’t work for this recipe. Koreans usually eat rice sticks boiled or cooked right in with the vegetables, but to me they taste best pan-roasted, which gives them a delightfully crunchy exterior. Heat a lightly oiled cast iron skillet over medium high heat for a few minutes and roast the rice sticks just until they begin to brown. Remove them from the heat, and if you want them in smaller pieces, cut them up. Make a sauce by mixing two tablespoons of the gochujang (the Korean red pepper paste), with 2 tablespoons of brown sugar, a teaspoon of cayenne, 3 cloves of smashed garlic, a splash of soy sauce and another splash of balsamic, sherry or rice vinegar. Heat a wok, add a bit of neutral oil and toss in a thinly sliced onion until it just begins to send its perfume into the air. Add an equal amount of sliced cabbage, sliced broccoli or asparagus, and a half pound of small peeled shrimp, tossing until the shrimp begin to turn rosy. Add the sauce and the rice sticks, and if it looks as if it needs it, a bit of water. At the very end, add a sliced green onion, toss well and serve. 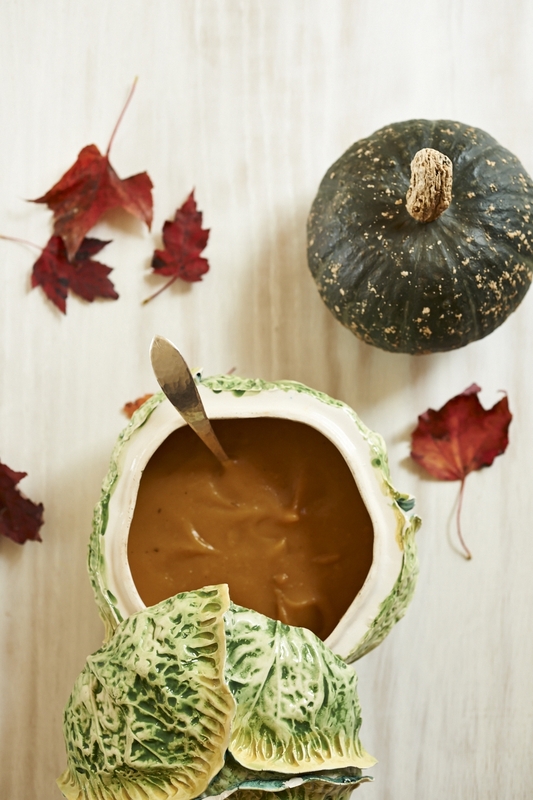 Easy, vegan, beautiful: who could ask for anything more? garnishes: diced Granny Smith or other crisp apple, olive oil, balsamic vinegar. Put onion, carrots, celery and olive oil into a large casserole and cook for about ten minutes, until they become soft. Add squash, potatoes, and salt. Stir in boiling water, bring to a simmer, and allow to cook for about half an hour, until the squash and potatoes are very soft. Puree, in batches, in a blender. Be cautious; hot soup can be dangerous. Taste for seasoning. Serve topped with a drizzle of olive oil and/or balsamic, and the diced apple. I will never forget the farmer in Venice who laughed uproariously when I asked her to give me the purslane she was weeding from her fields. “This is not for humans,” she said contemptuously, handing over great heaps of the thick slightly lemon-flavored weed. Yes, it’s a weed, but as Ralph Waldo Emerson noted, weeds are just plants whose virtues we have yet to discover. It puzzles me that purslane, with its satisfying crunch and easygoing flavor, isn’t better known. You can eat it raw, in soups or simply boiled. Here’s a Mexican favorite. 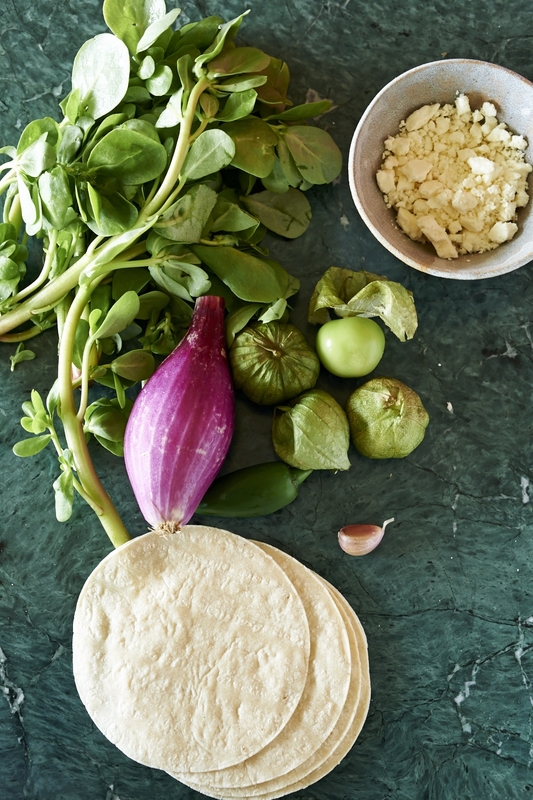 Shopping list: purslane, tomatillos, a green chile, corn tacos, queso fresco. Begin by making a quick green salsa. Peel the papery husk off 4 tomatillos, wash them and toss them into a blender with 1 small green chile, half a small onion and a clove of garlic. Whirl them into a thin liquid. 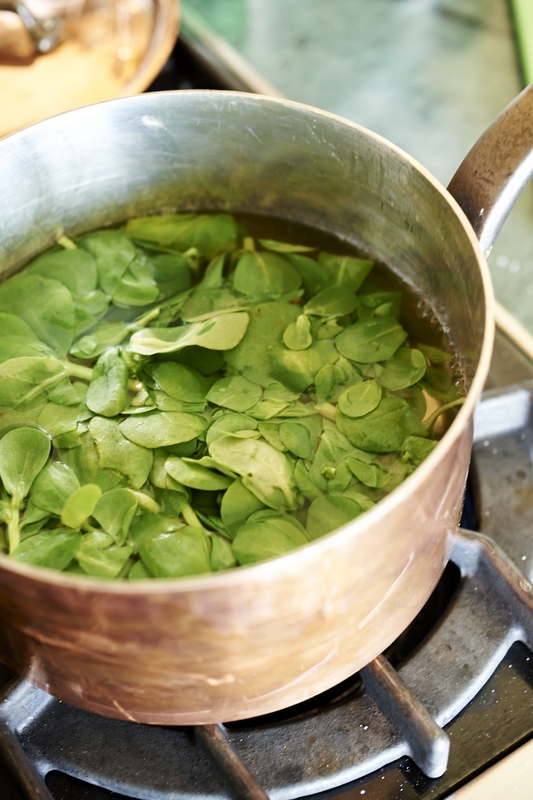 Take a big heap of purslane, wash it well, chop it well, and boil it for about 10 minutes. Drain. Slick a skillet with oil and add the salsa. Bring it to a boil, turn the heat down and add the purslane. Add salt and pepper to taste. (Diana Kennedy adds cumin as well, but I prefer the tacos without.) Cook it down until it’s thickened into a lovely sludge. Sprinkle some queso fresco across the top and served wrapped into warm tortillas.